Yep, you read that right, it's possible to modify the WebOS source files without Linux access. And it's easier than you might think. All that's required is WebOS Quick Install v1.4 (or later) up and running, and knowing what you need to change in the files. It's worth noting that if you're familiar with using Linux access, using Quilt, part of the optware package, is still better and more elegant for patch management, as it can automatically restore your device to a state where it can safely receive OS upgrades from Palm. 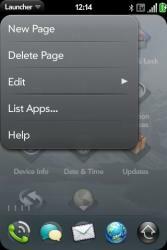 If all that is a little intimidating (or laborious), you can use the guide for quickly editing webOS files. Warning: Patches and modifications can screw things up, break stuff, and generally cause odd things to happen -- always remove them before perform an update to the webOS! This kind of process will work with all the useful hacks found on the WebOS-Internals wiki. 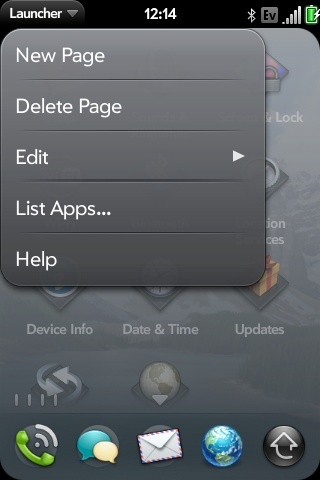 Not only that, but you can use a similar process to change app icons, the phone theme and all other UI images. 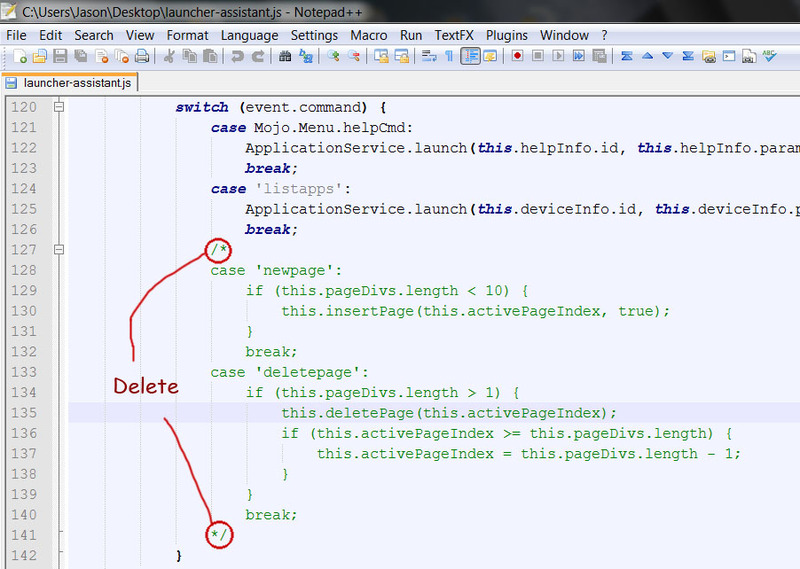 To help illustrate the process, I'll use the well known add/delete launcher pages hack as an example. Start up WebOS Quick Install. In the program's menu, go Tools->Receive File. This popup window will let you copy a file from your Pre to your computer. Type that into the text box. Then click the "..." button and choose where you want to save the file to on your desktop (your choice). Click the "Receive From Device!" button. For hacks that uses more than one file, repeat as necessary. Go to the folder where you saved the file(s). Back them up someplace. Remember where you backed them up to, because you will need to use the steps below to unpatch/restore your Pre before you accept the next OTA webOS update. 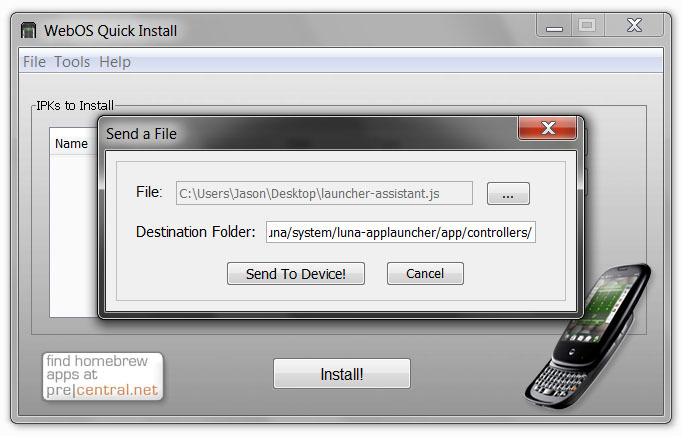 Now that you've backed it up someplace, open the file, in this case launcher-assistant.js, in whatever text editor you prefer. 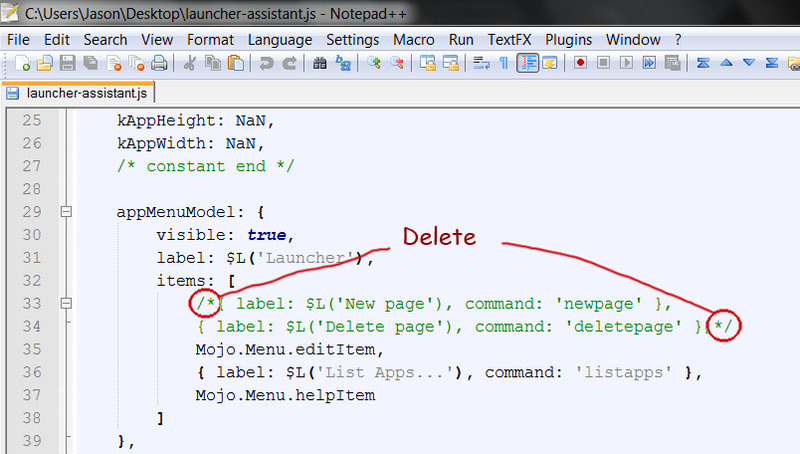 For Windows, I recommend Notepad++. Then you just need to follow the hack's editing instructions. For this particular hack, you only need to edit 2 areas by deleting the "/*" and "*/" tags at lines 33-34 and at lines 127-141. Save the file and close. Put that in the text box and click the "Send To Device!" button. For hacks with multiple edited files, repeat as necessary. Reboot your Pre and voilà! You'll notice the hack is applied. 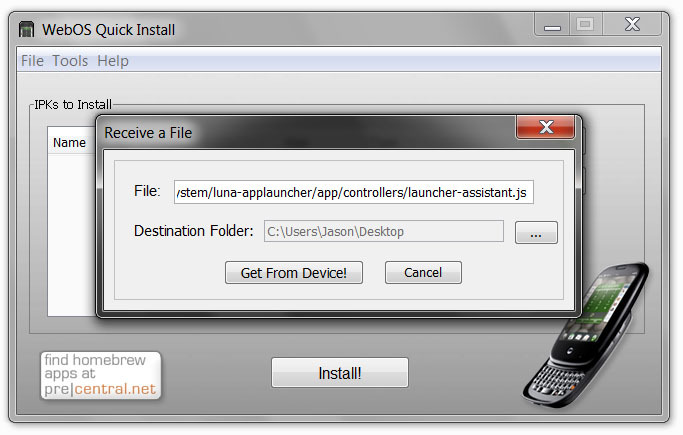 For this hack, bring up the launcher and tap the menu. There's now the option to add or delete pages. Just a quick disclaimer, PreCentral is not responsible if you mess up some vital system files and this causes serious issues with your device. Remember though, WebOSDoctor is always available to come to the rescue and reset to factory settings in the event of really bad issues. To unpatch/restore your Pre, simply follow steps 5 and 6 above, but use them to restore the original file that you copied off of the Pre.